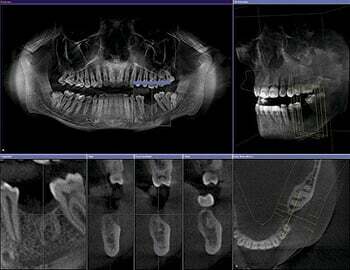 The Sirona GALILEOS 3D Diagnostic machine allows Dr. Hernandez the most superior 3D image quality available on the market by using only the lowest radiation dosage offered. By using the GALILEOS in routine procedures, it will offer efficiency in predicting the outcome of difficult surgeries. By using the GALILEOS, implant placement will be more definite and can be restored in quicker time than was available before. After the patient comes in for the image to be taken, the doctor takes that image and does an “implant planning” session to determine what size implant is needed. Then, the doctor may or may not decide that the surgical guide is needed in the placement surgery. 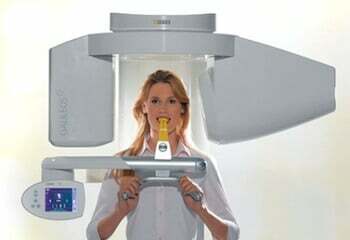 In general, the GALILEOS represents the future of dentistry, and moving forward in the field of healthcare. We are proud to have this new technology in our office, and are able to use it to give you the best dental care that we can.